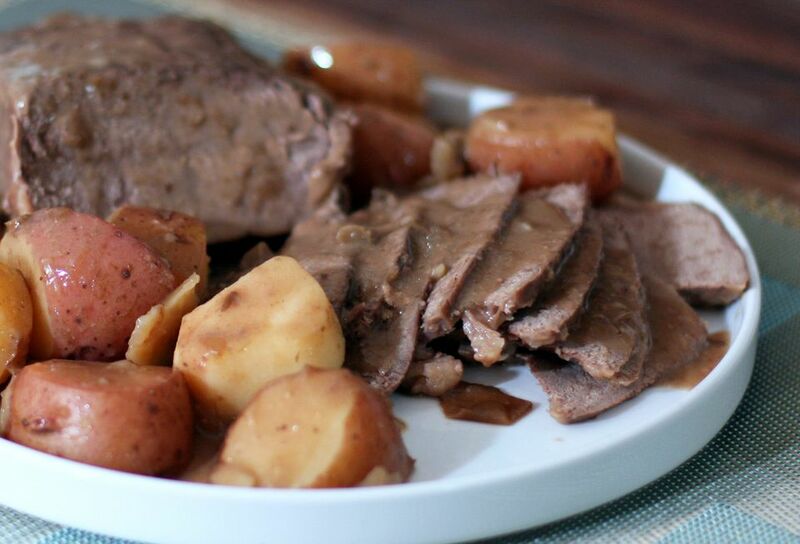 This pot roast recipe includes potatoes, carrots, onions, garlic, and seasonings. With the included vegetables, it makes a fabulous one-dish meal, and it's so easy to prepare and cook in the slow cooker. Place the beef roast in the slow cooker; sprinkle with salt and pepper. Make a smooth paste with the flour and cold water; stir in Kitchen Bouquet and spread over the roast. Add garlic, onion, potatoes, and carrots (or use any other root vegetable such as parsnips or rutabaga).